Exclusive! Whisper weight polyester fleece in Star Fish pattern. Pattern placement may vary. Machine wash. Imported. Hurry! Quantities are limited! 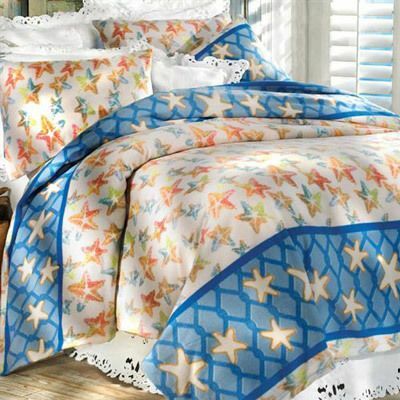 this looks great on my king size bed, the weight is perfect for summer. it feels good when it's on the bed, I haven't washed it yet but it seems like it will launder well. I love it!